A Balanced Life? Part 1. Each week I am lucky enough to work with clients that range from ages 13 to 99. One of the benefits to this is that it gives me a broad perspective on how people think and where they are struggling. There's been a theme lately....balance. Millennials & Gen-Xers are struggling with work/home/life balance and for the Baby-Boomers and Greatest Generation it's all about physical balance. In either case, achieving balance is is about being able to avoid 'crashing & burning' and feeling like a whole & complete human. For athletes, physical balance is often the missing component. Having good balance means that you'll use your muscles efficiently, have better agility and lessen your risk for injury. It's sort of the same for life balance, isn't it? -...expending just the right amount of energy by prioritizing what's most important right now. Whether you're working inside or outside your house and trying to raise a family or simply working while trying to maintain your health and sanity we all know how overwhelming it can be. There never seems to be enough time! We can feel pressured to be fit, healthy, make good food, enrich our childrens' lives, maintain friendships, advance our careers....that we end up with little time for true self-care and never feel like we're measuring up. Can we really 'do it all'? Do we even want to? Here are a few steps to bring some balance and routine to the chaos. If you're getting to the end of a week or even the weekend and feeling like you've done nothing that you really wanted to do then something is off. What makes you happy? What do you really enjoy? Track what you do on a daily basis and you may realize that you aren't actually doing these things. Sometimes work has to be the priority. That's ok. Be intentional. Know what your priorities are and stick to them. Creating the life we want takes planning. This doesn't mean you can't be spontaneous and flexible (I used to think it did)-- it just means that in our current society we need to actually etch out our personal time. This means literally sitting down with your calendar (pen & paper, digital, artistic-- doesn't matter!) and map out your week. 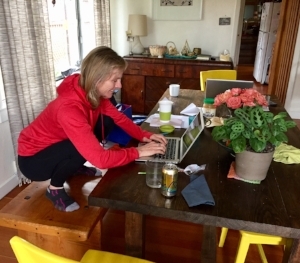 If you're an over-worker or perfectionist here's a trick I learned from Racheal Cook-- schedule your personal time first (self-care, exercise, family, friends) -- and then the rest. This may sound oversimplified, but it really is that simple-- Not easy, just simple. It's challenging to change habits of thoughts and behavior. The good news is that it's possible. If you can picture it, you can do it. Follow through with your plan. If you mess up, it's ok.
We can look at this in a few different ways. First off-- are you varying the types of movement you do? Are you integrating movement into your daily life-- or do you sit all day for work and then hit the gym or go to yoga? Are you moving in ways that humans are meant to move? As my friend and fitness trainer Kat Juarez says, "Change it up!" If you're doing the same type of exercise and movement every day try something new. We know the harm of repetitive movements on our body. If you're a weight trainer try some yoga. If you're a runner, walker or yogi try something new. There are so many cool modalities out there. I tried a TRX class the other day with Jen at Angels Camp Body Shop and had a blast. I'll be back for sure. 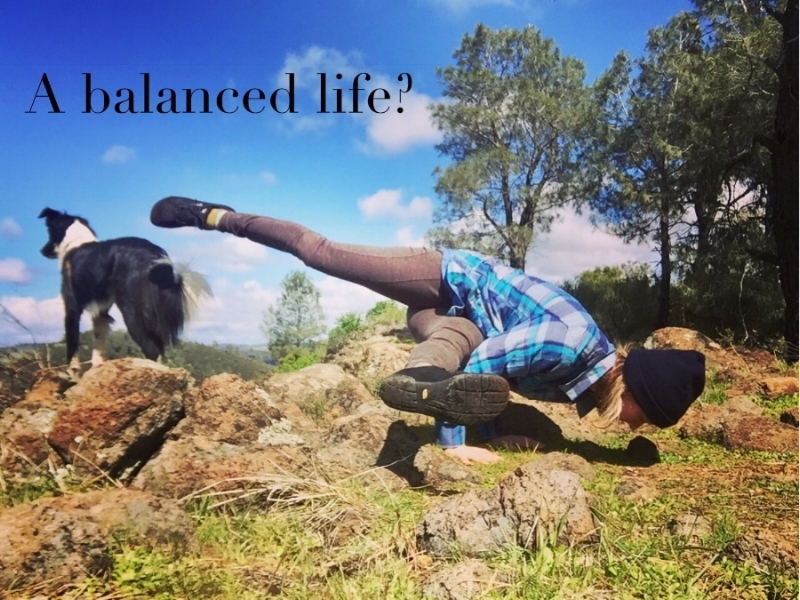 OK I've unintentionally gone WAY off track from my original focus of this post which was to help you understand why physical balance is an important part of health and fitness for ALL ages! I guess I'll get to that in Part 2 of this post. In the comments, please let me know if you have any insights or struggles in your own life's balance.